Cannabis has traveled the world and was found in the sites of prehistoric nomads, ancient China, Indian culture and Viking Ships. The origin of Cannabis dates back to thousands of years in Asia and eventually spread to the Americas and the United States. Through most of the historic journey, Cannabis has been used for a medicinal and spiritual purpose. The idea that drug is immoral is a recent construction. The Vikings, as well as medieval Germans, used cannabis for pain relief from childbirth and toothache. The marijuana was legal for most of history. The first records of drug’s medicinal use date back to 4000 B.C. in ancient China. With the advent of Silk Route, the cannabis moved from China to the middle east between 2000-1400 B.C. By 5th Century A.D., it had spread throughout Europe including Germany and spread to Britain during the Anglo-Saxon Wars. Before World War II, USA started to crack down on cannabis and turned the world’s perception about Cannabis by classifying them as Scheduled 1 Drug along with Cocaine and Heroin. However, in recent times, many countries have either decriminalized while some have legalized cannabis. Fast forward to 2018. The cryptocurrency market, currently as an asset, has skyrocketed in the past year. Though the crypto-market has been volatile, however, the growth has been 22 times since the beginning of 2017. The catalyst for the growth of cryptocurrency is the blockchain technology. A digital, distributed and decentralized ledger that is fundamental to the virtual currency for recording transactions. Blockchain will resolve problems that are plaguing the industry regarding payment related issues. Though legal in many states in the United States, banks cannot accept money from cannabis due to federal money laundering laws. Therefore, marijuana business is a purely a cash business, resulting in hassles for both merchants, tax and other regulatory authorities. Many legal cannabis companies are listed on NASDAQ and other stock exchanges in spite of being a cash-only business. Where will cryptocurrency & blockchain help? It is widely believed in the cannabis industry that cryptocurrencies like Bitcoin could help in solving the problem, in spite of the volatility and lack of legislation. Firstly, blockchain records are incorruptible and cannot be changed. The immutability brings transparency to the system concerning auditing and other financial requirements. Blockchain will also help governments to tax cannabis and regulate the industry. Secondly, the supply chain efficiency will drastically improve when compared to traditional methods from seed to sale. Therefore, optimizing operational costs and increasing the bottom line of the company. Besides, blockchain will ensure quality control over cannabis in stages of the plantation, third-party testing & audits, data handling. Cryptocurrencies can help in solving the managing of cash for the merchant and tax evasion for the government. Though unproven on a larger scale, the union of Blockchain and Cannabis seems to be the match made in heaven. 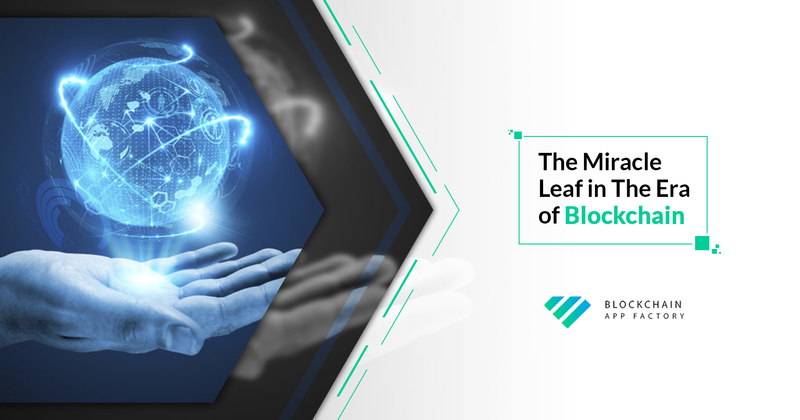 At Blockchain App Factory, our cryptocurrency and blockchain solutions will help Cannabis, as well as other industries, optimize their cost with efficient Blockchain and cryptocurrency solutions.